What Is a Civil Judgment for a Credit Card Debt? When you can’t make payments on your credit card debt, you eventually fall into default. What happens next can cause you further financial trouble, leading to repeated phone calls, a dramatic drop in your credit rating and even legal action. Although you may have suffered job loss, medical costs or other financial difficulties, you can avoid defaulting on your credit card debt by dealing with your creditors immediately after realizing you cannot make your payments on time. Credit card companies start calling you after you have missed payments -- usually two months after, but this varies among creditors. This is a crucial time when you can explain to your creditors that you cannot make payments because of financial hardship. In many cases, the companies will offer to set up a payment plan that fits your financial capabilities. If you ignore contacting your creditors, the phone calls get increasingly insistent. 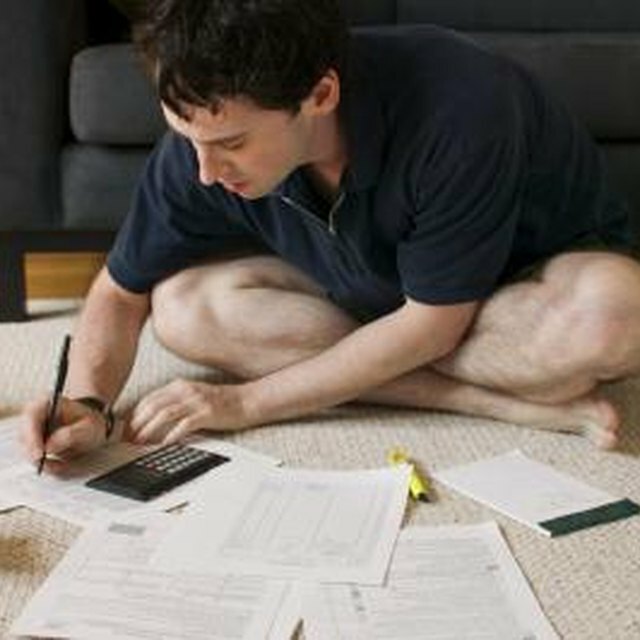 You can also seek credit counseling to negotiate with your creditors. After a certain time -- 90 days or more, depending on the creditor -- the credit card companies charge off your debt. The creditors write off your account as a financial loss to the company, but that doesn’t let you off the hook. Credit card companies sell your delinquent account to collection agencies, which continue calling you more persistently. The agencies also send you letters, often threatening legal action if you do not pay. Some collection agencies are more ruthless than others, but all they can legally do is call and send you letters. You can still arrange a payment plan with them, but continuing to ignore them could result in court action. If you make no attempt to pay your debts or arrange some type of payment plan, the credit card companies and collection agencies can file lawsuits to recoup the debts. Appear at the court hearing if you receive notice of court action. Judges usually rule in favor of creditors, because you have made a contract with the credit card company and have failed to make your payments. If you appear in court, you can explain your financial situation and the judge may allow you to proceed with a payment plan to pay off your debts. If you own possessions, such as a car or house, these can be seized to pay your debts. If you have no valuable possessions to liquidate and cannot pay off your debts, the court’s judgment against you remains and your creditors can collect payment when you rebound from your financial problems. An alternative would be to file for bankruptcy. Depending on the type of bankruptcy, a judge may order you to pay debts you can afford in agreement with the creditor. Some of your possessions may be included in the agreement if they're valuable. In Chapter 7 bankruptcy, a judge may rule that you do not have adequate possessions or funds to pay your debts, and she might free you from your obligation. Bankruptcy is a last resort and will affect your credit rating for years.